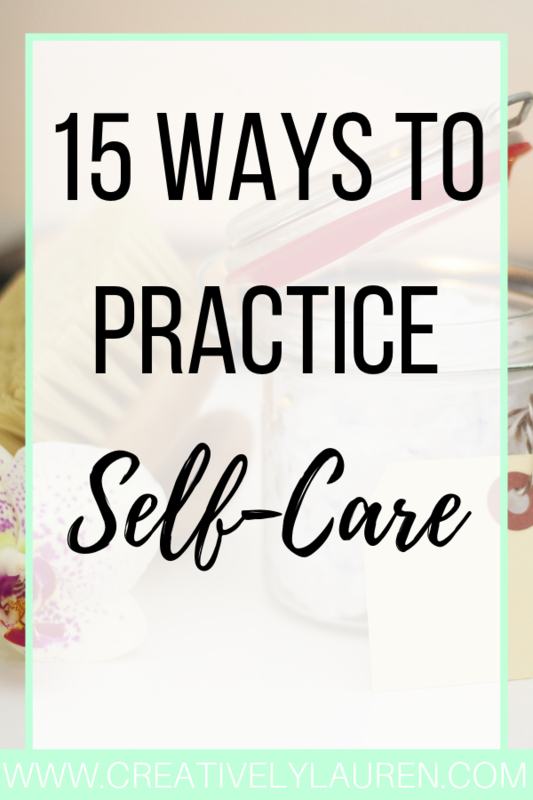 When thinking about self-care, many people struggle because they think they have to do something big and extravagant to take care of themselves. That’s not the case. 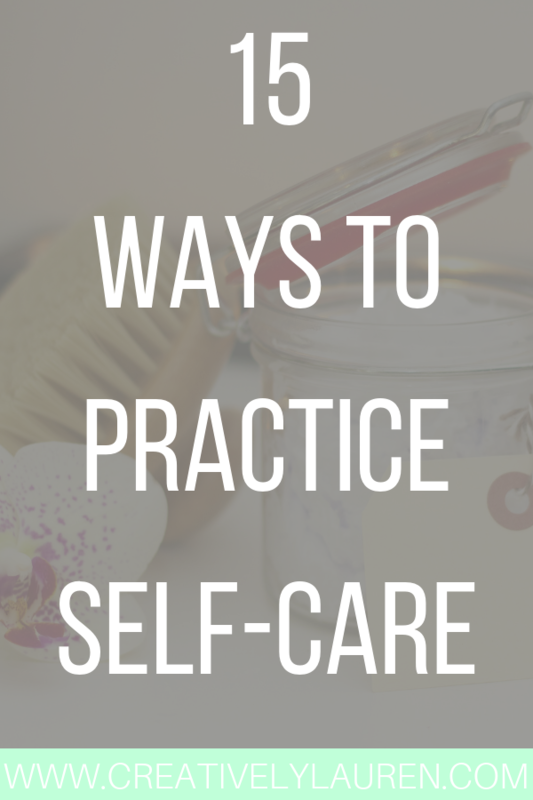 Self-care can be as easy as saying no to a night out and reading a book instead. Self-care is doing something to take care of you. The first thing about self-care is knowing your body. You need to know your body, how it reacts to stress, so you know when you need to step back from something. It does take some time, but being aware of your body and how it reacts to certain pressures and stresses will help you take better care of it. 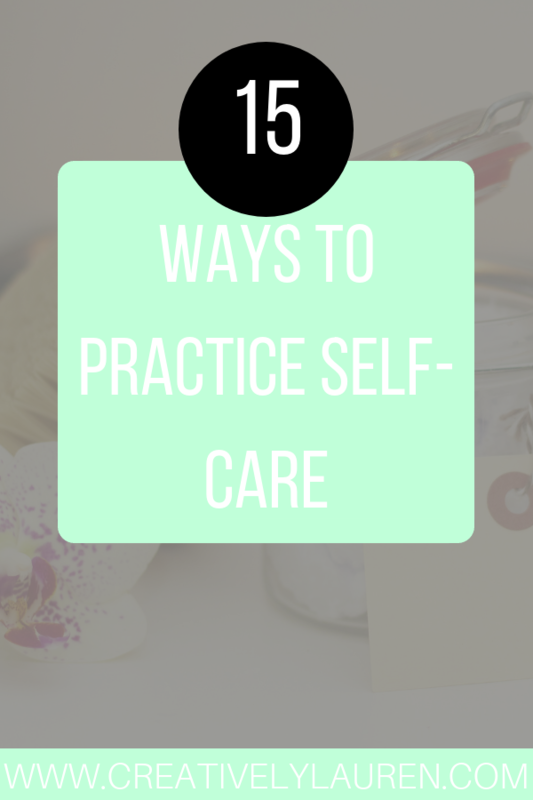 Self-care isn’t always about taking care of your physical health, although that is important. Self-care also means taking care of your mental health. Holding in feelings is not good for your mental health. Journaling allows you to let the feelings out and keep them somewhere so you don’t have to hold them all in your head. Our bodies are over 70% water, yet it always seems so hard to drink water. Our bodies want water. You can still drink coffee, soda, but make sure you drink the same amount (or more) of water than you do for other drinks. Sugary drinks dehydrate your body, coffee dehydrates your body. You need to replenish it so you don’t feel so bad or bloated afterwards. Our bodies and brain need sleep to recharge. Constantly getting minimal sleep is not good for your body or your productivity. Getting a good amount of sleep helps your body recharge and help you be cognitively ready for the next day. I know everyone is always so busy, but you have to take the time out to get the proper sleep for your body. For many people, our daily jobs are not as creative or can be creatively draining. Reading a book allows you to free your mind and allow it to be creative, while also relaxing your body and brain. Clutter is proven to add stress, so make sure your space is decluttered. A clean space means an easier path to a clear mind. Taking a walk and listening to nature can be very relaxing. A lot of times we’re rushing to the next thing, our job, but always in a hurry. Every once in a while, take a relaxing walk and enjoy the sunlight and nature around you. Because who doesn’t need a massage?! Exercising is good for your body and can make you feel invigorated. Even if you’re just doing yoga, or walking on the treadmill, get up and exercise once a day. I always find baths very relaxing. I love laying in the warm water with a nice floral bubble bath scent. 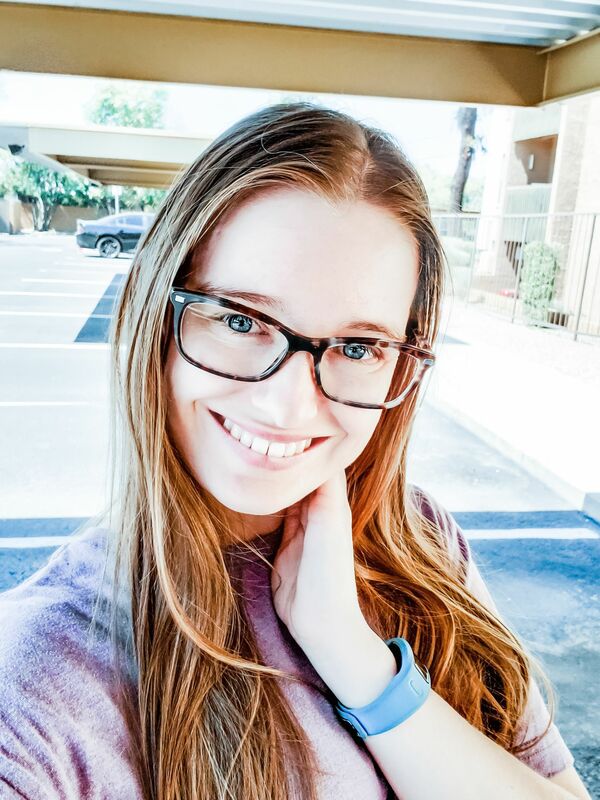 Take yourself out to dinner, buy yourself some flowers, or buy that cute item on your wishlist. You are worth it, so make sure you treat yourself to something nice every once in a while. Junk food makes your body feel sluggish, bloated, and slow. So make sure you are giving your body nutritious food that is good for you. Eating good food will make your body feel energized and ready to take on the day. Have you seen those posts that show plants that were put in boxes and they were listening to someone saying good and bad things to them. The ones that were getting the bad things wilted and were dying. The sane thing happens to our mental state. If you’re constantly tearing yourself down, you’re making yourself feel bad about yourself and it just becomes a cycle. Give yourself grace and be kind to yourself. If you love painting, then take an afternoon to paint. If writing is your jam, then take some time to write a short story. Doing something you love every once in a while will make you feel more creative and happy. Last, but certainly not least, take a break! Constantly going at 100mph is not good for you or your body. Your brain and body need rest, without it you are more susceptible to making mistakes, being irritable, and more. 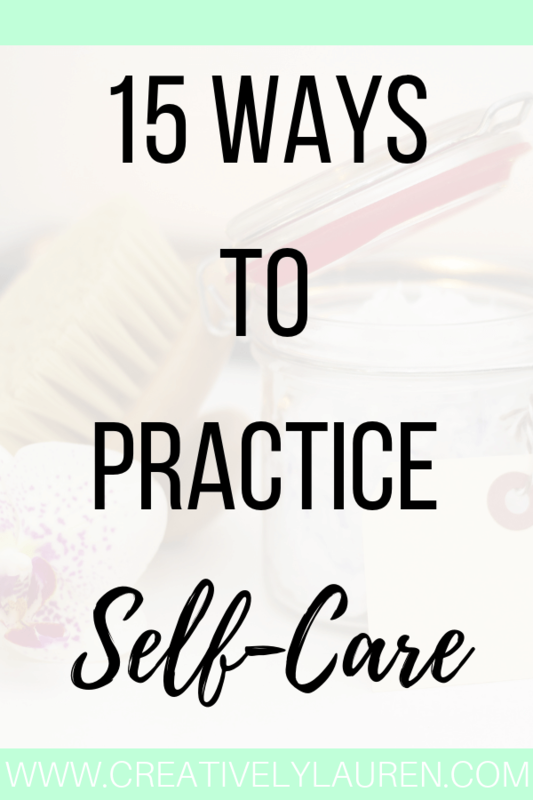 How do you practice self-care?! Let me know in the comments below! Yes! It’s not big vacations. Self-care is whatever relaxes you! Great post. It is very easy as a parent to forget to slow down and take care of yourself too. Thanks! I can imagine! You’re welcome! I find decluttering really helps me mentally, it clears my mind and makes me feel much calmer! 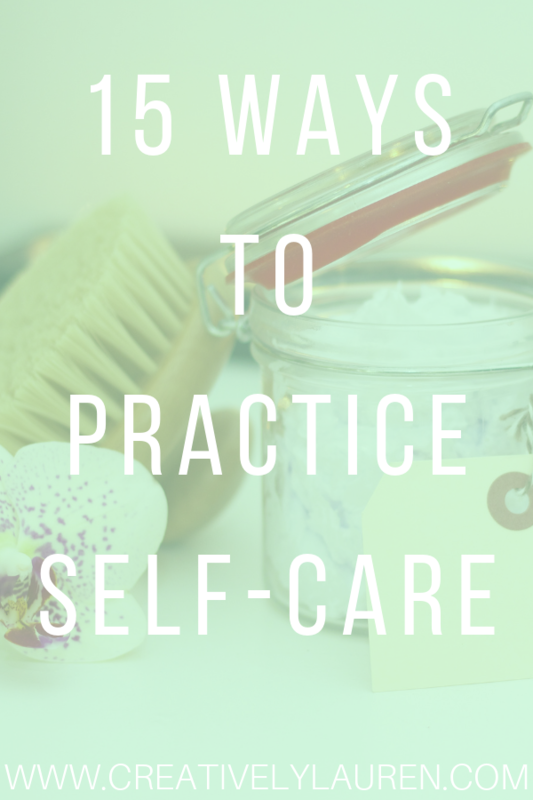 Thanks for sharing this post, we can forget about the quick and easy ways to practice self care! Yes! Many people forget that clutter can cause mental stress! You’re welcome! I love these! I personally love to journal without any pressure of what I’m producing or if it will be seen by an audience. Decluttering is another great one. I think it’s underrated because of how stressful and “heavy” clutter and mess can feel sometimes. Being able to tidy up a bit can make you feel so much lighter and more accomplished. I also personally enjoy the smell of candles A LOT. Always very relaxing. I agree. Journaling with no worry allows you to be more honest. I agree. I always feel better after tidying up a bit! I enjoy candles as well!